The health of Chiwenga, 62, is closely followed in Zimbabwe because he is widely seen as the power behind President Emmerson Mnangagwa and the front-runner to succeed him. 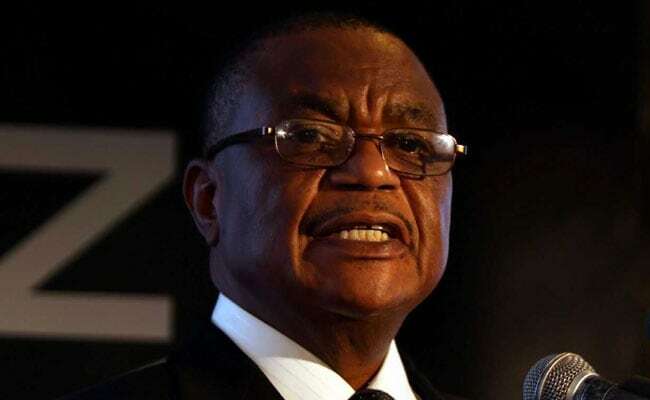 HARARE: Zimbabwean Vice President Constantino Chiwenga is being treated in India for a minor ailment, a government deputy minister has said, days after a local news website reported that the retired general had gone to that country due to failing health.The health of Chiwenga, 62, is closely followed in Zimbabwe because he is widely seen as the power behind President Emmerson Mnangagwa and the front-runner to succeed him. He led the coup that ousted long-time ruler Robert Mugabe in 2017.